Black activists, responding to calls for a nationwide protest against racial injustice, staged demonstrations in London and several other cities across Britain on Friday, in their boldest show of support to date for the emerging Black Lives Matter movement here. Black Lives Matter U.K. had called for a nationwide “shutdown” to protest an array of injustices, including police brutality; racial disparities in arrests, convictions and sentencing; the treatment of immigrants in detention; inadequate mental health services; and a reported increase in hate crimes since Britain’s decision, in a June 23 referendum, to leave the European Union. 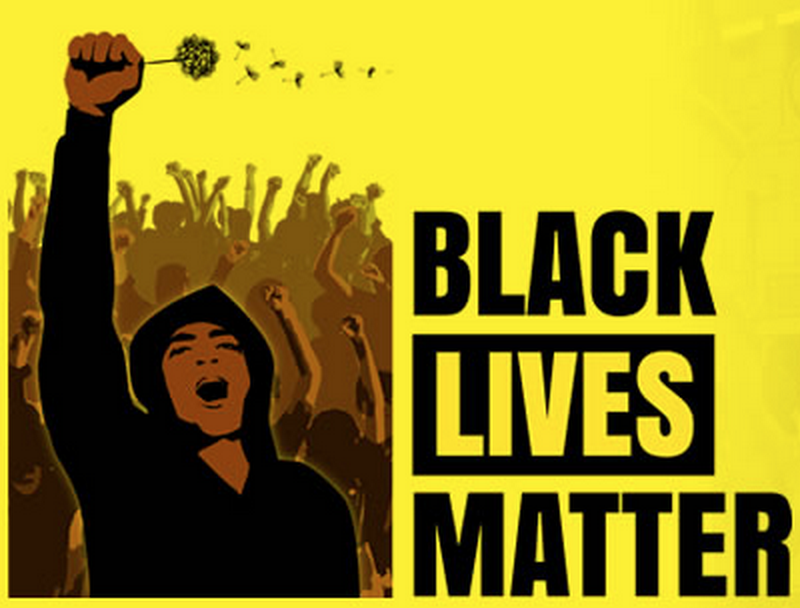 The Black Lives Matter movement, which emerged in the United States in 2013, has spread to several countries, including Britain, Canada and France. On Friday morning, activists unfurled a giant banner and lay down on an access road near Heathrow, bringing traffic to a standstill for several hours. The police arrested 10 people. Five more people were arrested in Birmingham, Britain’s second-most populous city, after blocking traffic leading to the airport. Four activists were arrested in Nottingham, a city of more than 300,000 in the Midlands, after protesters blocked trams and buses by lying down in front of the Theatre Royal. The demonstrations were peaceful but powerful; in several cases, the authorities had to use special equipment to cut through the tubes the protesters had used to link their arms. The demonstrations were timed to coincide with the fifth anniversary, on Thursday, of the fatal police shooting of Mark Duggan, a 29-year-old unarmed black man, in the Tottenham section of London. His deathtouched off riots in poorer sections of the capital, as well as in cities including Birmingham, Bristol and Liverpool. In January 2014, an inquest jury found that the killing of Mr. Duggan had been justified, finding it more likely than not that he had tossed a firearm from a taxi shortly before he was shot. But in October, a judge granted Mr. Duggan’s family the right to appeal those findings. This is the story of an American, a black American who attended Cambridge University before the end of slavery in the United States. What is interesting here is the phrase “first recorded black student”. It appears there were other black students at the University before Crummell, who were conveniently “forgotten” in the books. Considering that there is recent evidence of black folks being in England as early as the 13th Century, that is an interesting point to explore. 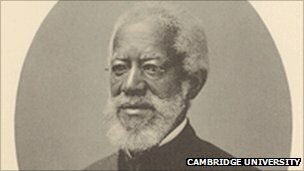 The story of Cambridge University’s first officially recorded black student is being told as part of the university’s Festival of Ideas. Alexander Crummell was an American minister and the son of a freed slave who studied at Queens’ College, Cambridge, in the late 1840s. 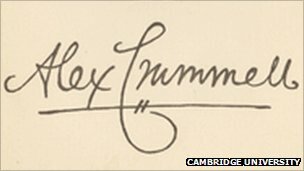 While it appears he was not the first black student at Cambridge, he is the first for whom official records exist. Cambridge lecturer Sarah Meek said he was seen as an “object of curiosity”. But at the same time he was a mature student who “was a respected, grown-up figure”. During his university vacations he toured the country delivering anti-slavery lectures, and as a minister gave sermons in local churches. Slavery had been abolished on British soil in the early 1800s, and in British colonies in the 1830s. The anti-slavery campaigners Thomas Clarkson and William Wilberforce were both Cambridge graduates and the university was seen as an important centre for the abolitionist movement. Crummell grew up in New York. 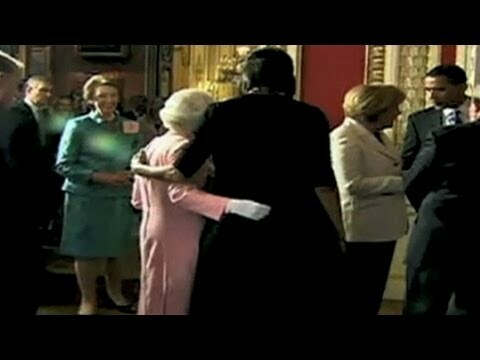 His father was a freed slave and his mother a free-born woman from Long Island. He attended one of the African Free Schools set up by New York abolitionists to educate the children of freed slaves. But while slavery had been abolished in the northern United States, prejudice continued. When Crummell and two of his New York classmates were awarded places at a secondary school in New Hampshire, they were driven away by an outraged local community. He continued his studies in New York, and was eventually ordained in the Episcopal church, which is connected with the Church of England. It was this membership of the Episcopal church which would later allow him to study at Cambridge. If he had been a Methodist or Presbyterian, Jewish or Roman Catholic, he would not have been able to take up a place at Cambridge until 1871. After graduating Crummell spent 20 years in the freed slave colony of Liberia before returning to New York.